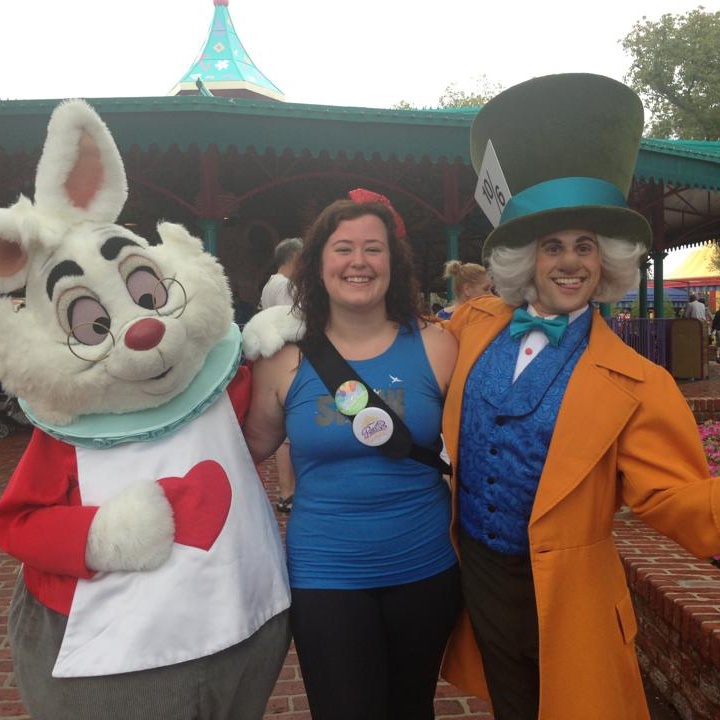 Welcome to Sam, who is my newest blog partner in my Run Bloggers Unite! project. If you’d like to partner with me, please let me know! I hope you enjoy reading Sam’s take on getting ready to run the Wine and Dine Half Marathon for the first time, and click over to her blog to read my perspective as a Wine and Dine Veteran! Hi ya’ll (I’m from CA I have no clue why I wanted to say that so much!) I’m Samantha, born and raised Angelino. I started running back in 2007 in college and have really gotten deep into it the last few years. I feel like I’m filling out a dating profile. I’m single… just turned 30…own a goofy aussie named Indy and enjoy Netflix marathons on the weekend after a long run. Ok, enough about me, back to the scheduled blog post! When I flew to Florida last February to run the Disney Princess Half Marathon, I made the decision to register for the Wine and Dine Half Marathon at the expo. That was about 7 months ago. So much in my world has changed and the realization that my first night race is a bit more than a month away is finally hitting me. When I lived in Seattle, I loved running at a night in my neighborhood. I had sidewalks and lots of streetlights and fairly little traffic so I felt relatively safe. But for the last four months, I’ve been living on a hill with no sidewalks or streetlights and lots of crazy drivers. So I have to drive into town to run anything more than 2 miles, which adds to the time needed for training. The transition from morning training to evening training is also getting tough! I find myself dragging after work, but I know I must keep my training going. About two weeks ago I needed some motivation so I got myself some fun reflective gear to help out. New armbands that light up and BRIGHT yellow tank tops will help me to feel a bit safer out there at night. Tonight is actually my first 10pm run. I’ve been up and going since about 7am so I’ll see how far I can make it before I fall asleep! My original plan for Wine and Dine was to hang out with my running family and just crash with them, and maybe go to the parks for a few hours on Friday and Sunday. I told my mom all about it and she is now coming, along with my “sister” Jilly . I’m actually really excited about them coming along. When I was in high school my family and I went to WDW for 5 days. My parents invited Jilly to come along but her mom didn’t let her. If you’ve done Wine and Dine before, any tips for a newbie? If you’re new to night races, what are you struggling with? When a Run Is Not About the Run Nothing Like That Plantar Fasciitis!